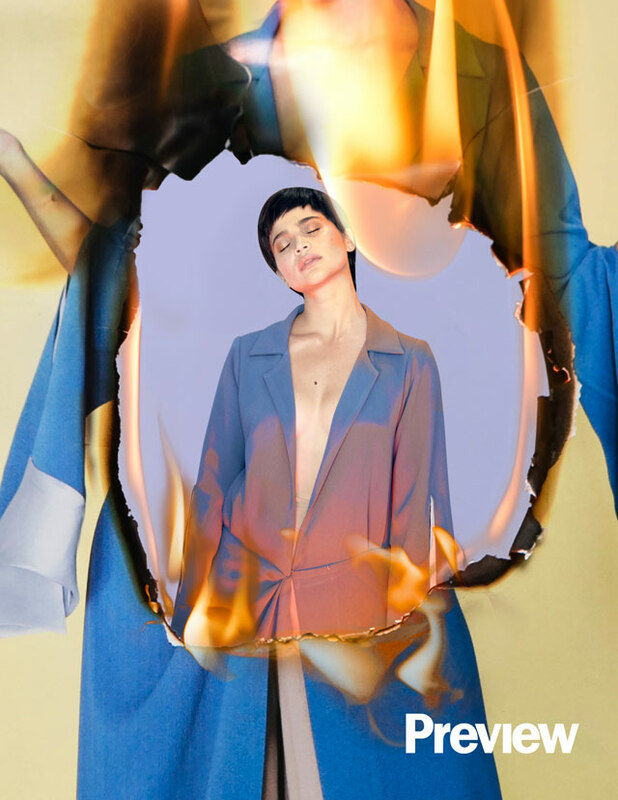 Toss her, rip her in shreds, burn her to the ground, but Anne Curtis is here to stay. After 21 years in the spotlight, there’s no slowing Anne Curtis down. 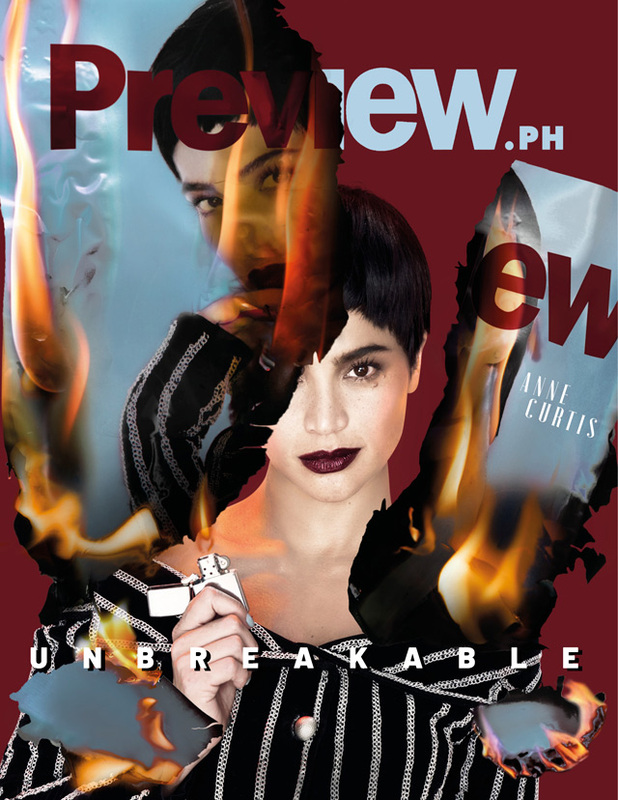 It’s impossible to talk about the multitude of Preview’s memorable covers in over two decades without throwing Anne Curtis’ name in the mix. 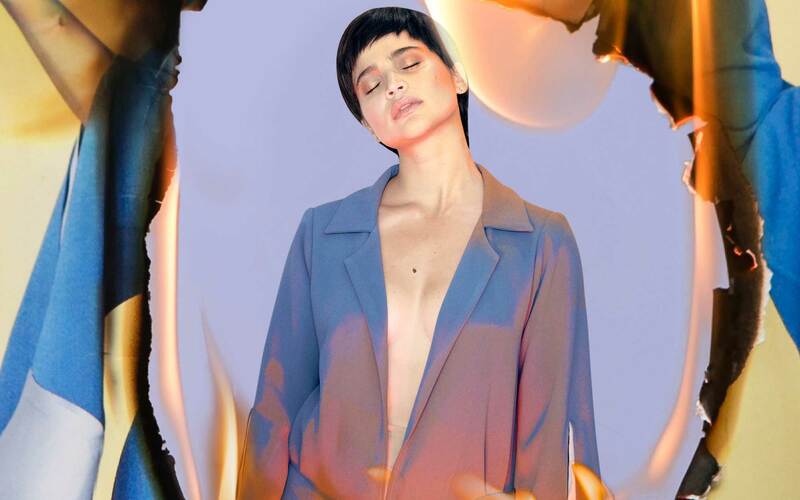 Anne Curtis, the most followed Filipino celebrity on social media—with a face so inescapable from TV and the hordes of billboards around the city—is the same woman with the most number of Preview covers. Through the years we have witnessed her grow in front of us and with us, from a fresh-faced teen actress to becoming a multi-hyphenate superstar, each career milestone immortalized in the glossy pages of our magazine. White top and blue wide-leg trousers; prices unavailable, both CHRIS DIAZ, cel. no. 0917 740 1097. Earrings, P1880, AC+632, Greenbelt 5. Today, as Preview marches on to a new era, it is but fitting that Anne once again stars in our first digital-only cover. In the same fashion that she transcends audiences, reinventions, and platforms, Preview exists beyond paper and ink—from the revered days of print to the thriving online sphere, Preview lives on. 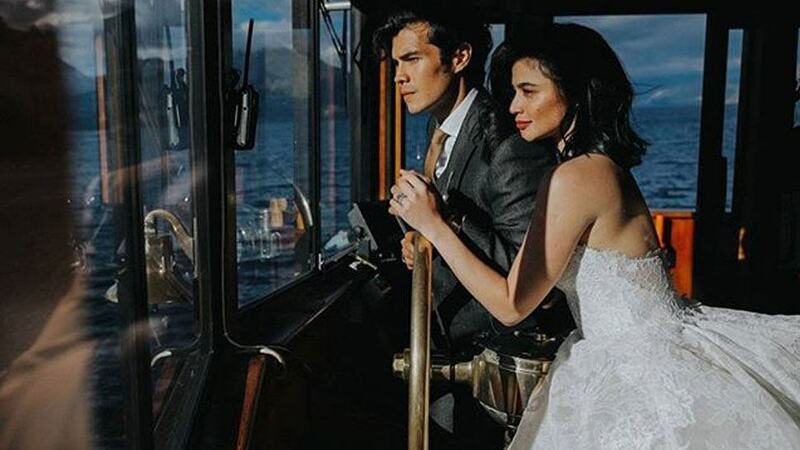 Much has been said about Anne Curtis: actress, host, performer, It girl, multi-million-peso endorser, online influencer, entrepreneur, and whatever else she decides to add to the list. Still, no one felt the weight of all this when she peeked her head into the studio to cheerfully greet the team hello. Barefaced and clad in a ladylike LBD, Anne arrived with her handler, Warren Dimen, without the huge entourage typically seen accompanying stars of her stature. Now one of the most recognizable household names in the country and beyond, Anne has managed to transform into a larger-than-life persona whose reputation positively precedes her. Twenty-one years spent toiling in the industry is no joke, after all; she’s put in the hard work. But with a string of movies plus a concert coming out this year, Anne makes show business seem so effortless. Her new film with Dingdong Dantes, Sid & Aya: Not a Love Story, is now playing in theaters and has been well-received by fans and critics alike—just check out how people rave about it on Twitter for proof. Anne is also shooting a new film, Aurora; and then there’s Buy/Bust, the action flick co-starring Brandon “The Truth” Vera, which she calls her dream role. She talks about her projects enthusiastically, yet pauses in deep thought when asked whether she feels there’s anything she hasn’t done yet. “Um…ano pa ba ‘yung hindi ko nagagawa?” Anne wonders aloud. “I’ll have to think about that one,” she resigns, but not before blurting out, “Working with a Korean actor!” Anne cackles at the thought. She may have meant it as a joke, but at this point, nothing is impossible for Anne, whose presence onscreen continues to captivate fans. Since her acting debut in the children’s film Magic Kingdom when she was 12, Anne has done it all: teenybopper flicks, heavy dramas, comedies, fantasy, you name it. And with the Erik Matti-directed thriller Buy/Bust coming out soon, the actress can finally tick action off her list. Anne has always defied expectations, yet manages to pull it off in a way only she can. Since then, Anne has always defied expectations, yet manages to pull it off in a way only she can. Her playfully sweet image is something the public is familiar with, yet she turned heads when she played wealthy socialite-turned-mistress Kara Zalderiaga in the 2011 film No Other Woman, alongside Derek Ramsay and Cristine Reyes. With dialogue rendered unforgettable because of her delivery and an explosive performance that still made you emphathize with the seeming villain of the plot, the movie proved her mettle as a versatile actress. 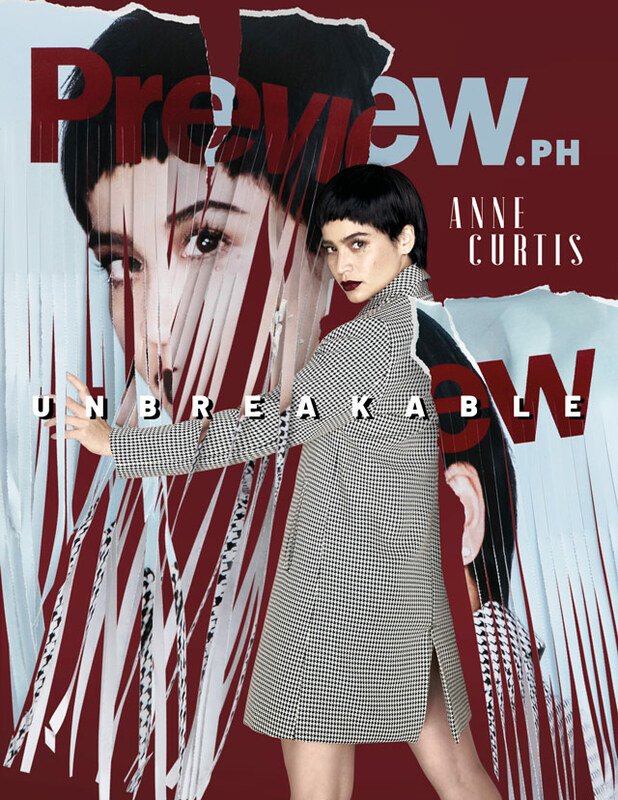 Amidst the film and TV projects, concerts and endorsements, we’d like to think that Preview enjoys a special relationship with Anne, cultivated throughout the years as regular cover girl and collaborator. “I love that when you get to do a Preview cover, there’s always room for creativity. They challenge all of their cover girls to bring out the best in you, and also to step out of your comfort zone,” Anne shares, as she sits on the makeup chair. It’s clear that doing these covers has become second nature to her. And true enough, Anne has gamely braved every editorial challenge thrown at her: she’s dyed her hair red, balanced on gymnastic hoops in the air while wearing heels, and even hid her face to join the global #unselfie movement for the benefit of Typhoon Yolanda. “With Anne, there’s something fearless about her, but not in a way that’s intimidating. She’s a chameleon, and she’s not afraid to change up her colors, which makes it a joy for creatives to work with her,” Preview Editor-in-Chief Isha Vallés shares. Just for this shoot alone, Anne is sporting a pixie cut. The last time her hair was cropped this short for a Preview shoot was over a decade ago in 2007 where she headlined the year's Best Dressed issue. “How many celebrities can cover their faces and still be recognizable?” says Preview's Creative Director Vince Uy. That alone is testament to Anne Curtis’ immense star power. “It’s like working with a model,” Vince, Preview’s creative director, says of Anne. “You transform her, she looks good and pulls it off. You can’t do that with everyone.” For Vince, who’s known Anne since her teens, it’s difficult to pinpoint a single favorite Anne Curtis cover. He manages to highlight three, though: the March 2008 pastel-colored swimsuit cover, the November 2009 Slim’s tribute cover, and the December 2013-January 2014 #Unselfie campaign. “When we did the [pastel cover] shoot, we were having a hard time deciding on the look we wanted to do. And when I suggested for us to try super big hair, which was for me, a little edgy and risky, Anne was game and she really looked amazing. For me, it cemented her being able to pull off anything,” he reminisces. Vince maintains that for a celebrity to successfully transition to fashion, they need to be able to pull off tricky trends—which Anne has done many times with flying colors, like how she looked effortlessly elegant with her hair sculpted into a cone for the Slim’s cover. “Another favorite is the #Unselfie cover, because for me it says a lot about her being able to understand the concept of a shoot,” Vince adds. 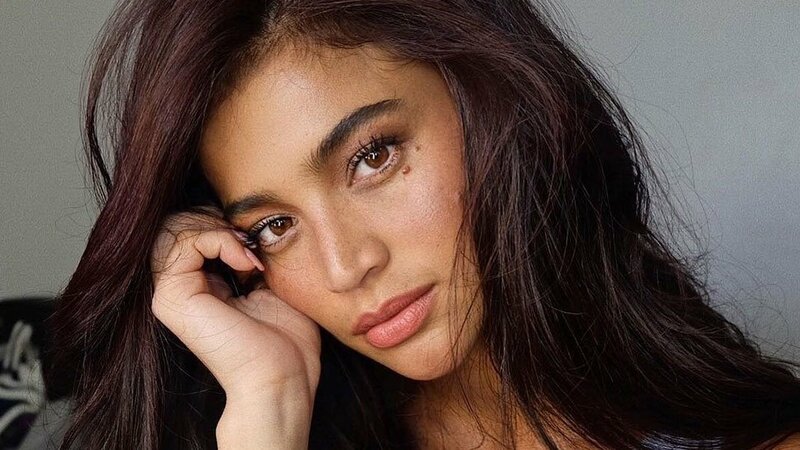 “How many celebrities would be willing to cover their faces for a magazine cover and at the same time still be recognizable?” That alone is testament to Anne Curtis’ immense star power. Much like Preview, she can be set on fire, shredded to pieces, and pummeled to the ground. Yet if two decades’ worth of hard work and ambition should prove anything, it’s that you can’t put a good one down. 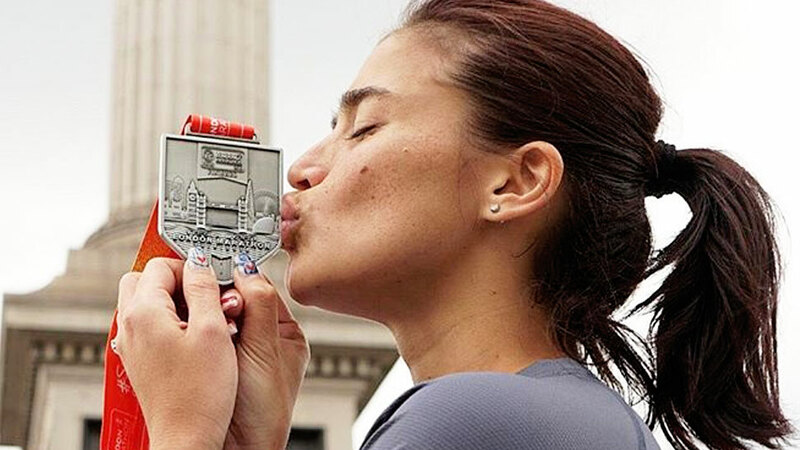 Anne Curtis truly is "Anne-breakable."